With some patience and some creative maneuvering. I was able to use the header Trailer to bring the 30 ft header through the 24 ft door. 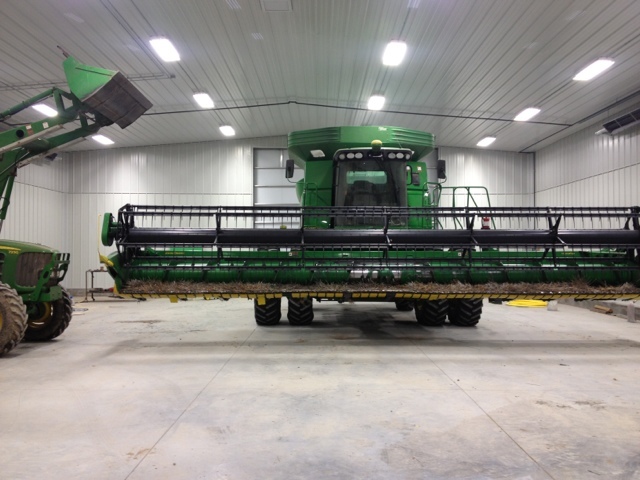 Twist it around and attach it to the combine. Squeeze the tractor in and i have set the stage for a scene in an upcoming music video!! !